Both works here are better known in larger, later arrangements, but Ken Woods and his colleagues demonstrate that impressive clarity and focus can be achieved through the original incarnations. 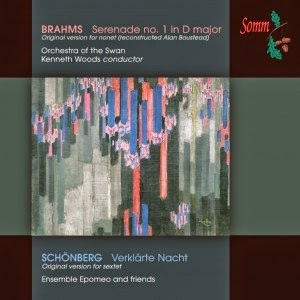 Verklärte Nacht is presented in its string sextet version, while the Brahms op. 11 Serenade is performed by an ensemble of nine, the forces for which it was originally written, although that score is lost and the version here was reconstructed by Alan Bousted in the 1980s. Whether performed by sextet or string orchestra, Verklärte Nacht is usually interpreted to emphasise the dense textures, and half-lit effects of its richly voiced scoring; scene setting is usually the order of the day. But this group, the string trio Ensemble Epomeo with three extra players, instead strives for, and achieves, clarity of line and texture. The textures are appropriately bass heavy, and the two cellos dominate, but every line comes through with exceptional clarity. This gives the piece a new profile, with the complex but now clear counterpoint driving the music and leading the ear through the harmonic web. There is atmosphere here too, and much warmth in the ensemble’s sound, but that is never at the expense of the individual lines. My only complaint is that there is a slight reticence that holds back the magisterial climaxes. Those cadences, where suddenly a radiant major chord appears from the dense and increasingly dour lead-up, they don’t quite have the sense of exaltation you will hear in other recordings, especially of the orchestral version. Generally, though, this is an impressive recording, and one that exposes many details of the score that usually remain obscure. The chamber version of the Serenade is similarly open in its textures and is presented with equal clarity and precision. This time round, though, there is less need for such an analytical approach. Even in its larger version, this work is all about clarity and directness of expression. Woods, who now moves from the cello desk to the podium, gives an appropriately bright and carefree account. The players interact well, and there is a clear unity of intent within the ensemble. A few slight tuning problems in the midrange woodwinds are the only technical problems to report with the playing. 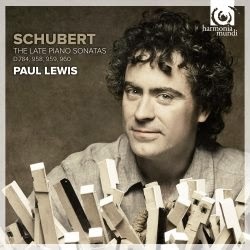 Sadly, the quality of the recording doesn’t match that in the Schoenberg. Despite the small size of the ensemble, many of the players, the winds especially, sound frustratingly distant. There is plenty of bass, but it often sounds boomy and unnatural. All of which is a shame, because this is otherwise and enjoyable and engaging reading. Ken Woods, as ever, provides detailed and very readable liner notes. Both recordings are of live performances, full details of which are also provided in the liner. 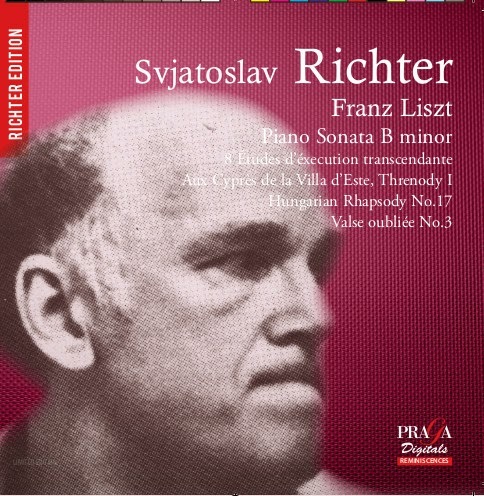 All round, a revealing and enjoyable disc, but recommended primarily for the Schoenberg. Plenty to get excited about here. A Turangalîla on SACD, only the third I think. A new recording from Hannu Lintu and the Finnish RSO, a team rapidly developing a reputation for the clarity and precision of their work. And, most significantly, a recording of Angela Hewitt in the Turangalîla’s titanic solo piano role. There are so many variables and so many interpretive choices with the Turangalîla that no recording is going to satisfy all tastes. Predictably (after his recent Ligeti release) Lintu emphasises clarity and transparency over emotion and drama, which given the turbulent passions of this score, and its continual pushing of expressive extremes, may seem perverse. But the payoff is spectacular. The orchestra is on top form, and delivers all the inner detail that Lintu seeks. For all the yearning passions, there is a lot of maths in this score too, and rarely, if ever, have the minutiae of its structural logic - its complex rhythms, its finely-judged instrumental textures – come through with such clarity. The SACD audio helps, and the sound engineering makes the most of both the quality of the playing and the potential of the technology. Do we lose any of the emotion? Well, yes, we do a bit. Despite Messiaen’s carefully calculating approach, it often seems that he wants his working-out to be buried under the welter of sound, and Lintu never allows that to happen. Some of the extended tuttis feel constrained, of at least overly controlled. It’s not the rollercoaster we’ve come to expect, although the gentler ride is easier on the listener’s stamina. No such concerns about the quieter passages though. The many soloists, in the orchestra and on the keyboards, are given the space to make their lines their own. Accompanying textures are brought right down, while still retaining their clarity. The greatest revelation here is the prominence that Lintu and the engineers allow the ondes and the piano. Again, the balance might not be exactly what Messiaen had in mind. The ondes spends more time reinforcing large orchestral textures than playing solo, so to hear it rise above the brass and percussion to take on a predominant role even at climaxes is unusual. But so too is the sound it makes, and the whole score takes on a more eerie and ethereal quality for the prominence of the ondes. But best of all is Hewitt. It is an open question whether or not she needs the help the engineers give her to dominate. But whichever way, the platform she is given here allows her to present the solo part with the nuance we would expect from her, but that is rare for this work. She plays the complex part with effortless virtuosity, making the music sing, even in the most knotty passages. And she maintains a paradoxical sense of lightness and grace, even when fully projecting the thundering climaxes. 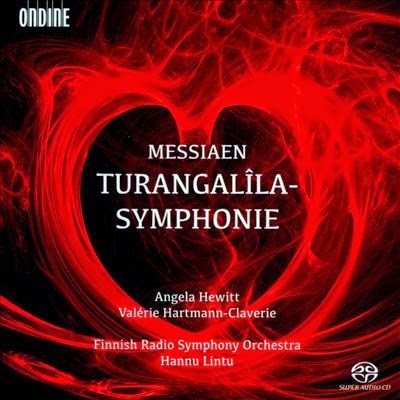 This version of the Turangalîla probably isn’t going to make it to the top spot, simply for the sacrifices in drama and intensity Lintu has to make for the sake of the clarity he desires. But it is a valuable document for the spotlight it shines on the complex structures that underpin the work. It is also well worth hearing for Hewitt, who makes a real solo out of the piano part, something that happens all too rarely with this work, which usually comes across primarily as an orchestral showpiece.